QuocoNow is currently sold out! Enter your email address below to receive a notification when QuocoNow starts accepting new sign-ups! Enter your email address below to receive a notification when QuocoNow is accepting new sign-ups again. Fun, innovative and easy-to-use kitchen tools that will inspire you to start cooking today! We ship on the 8th of every month. Shipping fees apply to shipment addresses outside the US. 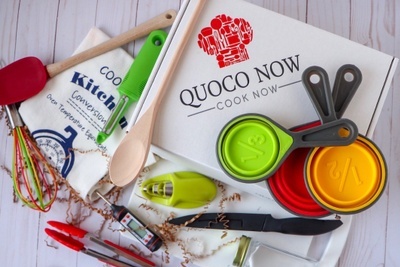 Quoco Now: For the aspiring at-home chef! We continually search the market for kitchen tools that will motivate your inner chef. 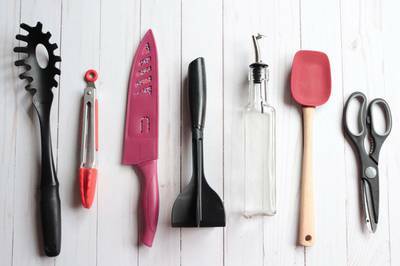 We think cooking should be fun, so we pack every one of our boxes with innovative, fun, space-saving kitchen tools that are easy to use in your kitchen every day. 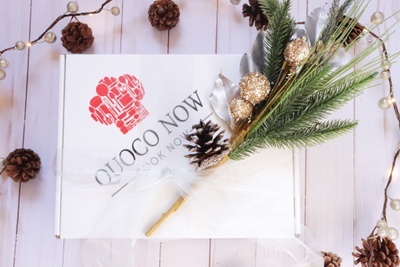 In fact, if we don't use it ourselves, we will never consider it for a Quoco Box! Having recently moved into my first apartment, I have wanted all of the gadgets that I got from my Quoco Now subscription, but who has the time to shop for these! They show up at my door monthly and some I didn't even know I needed and now use daily. Plus I love the getting new tips on the blog! 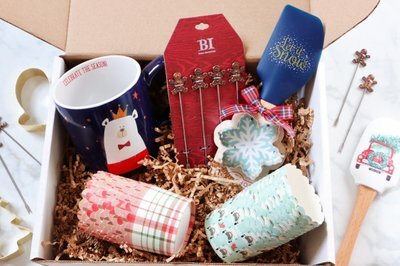 I ordered this box, not sure what to expect, and I am in love! 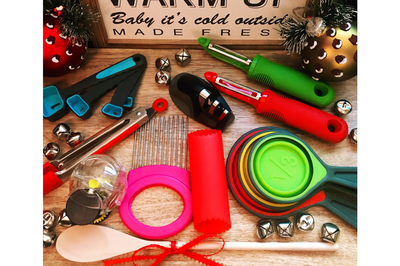 Not only do I love to explore new recipes with these amazing, time saving gadgets, but my kids have really gotten involved in the kitchen too. They love to help prep and cook. I recommend this subscription box to everyone! We can’t wait to see what is in store for our next box. Thank you, QuocoNow! I purchased a great add-on product, the food vacuum sealer for only $30! It has already paid for itself plus more because now I can easily store & freeze leftover meals and food items that I buy in bulk - no more waste! Thanks, Quoco Now! Gilbert, thank you so much for the 5 Star review. Keep checking the marketplace because we are adding new products all the time that we know you will love to use!